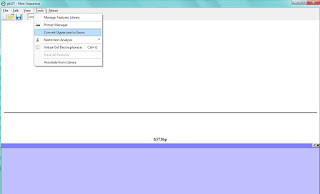 The 1.0.10d patch fixes a bug that sometimes causes pLOT to abort saving the file. 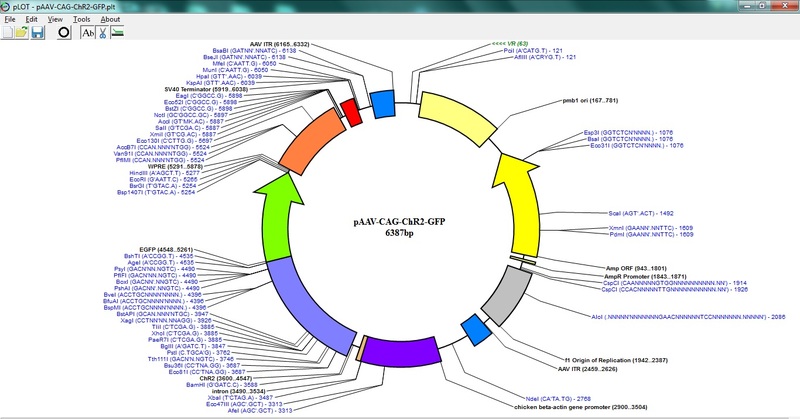 It also fixes a bug in the restriction digest enzyme mixes. The 1.0.10c patch fixes some bugs with the resizing of zoomed in maps and the drawing of arrows in when the map is zoomed in. 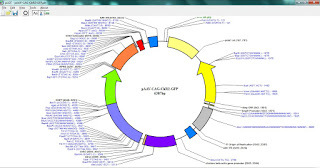 It also allows the fonts on one side of a circular map to be larger than those on the other side if the other side's font size has been reduced due to the number of labels on the screen. pLOT v1.0.10b is now up. 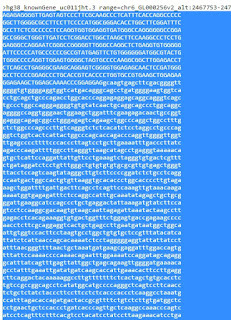 In addition to a few possible bug fixes, you can now specify enzymes by the number of cuts and position in the sequence. 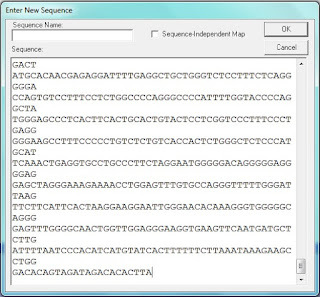 An updated Restriction enzyme file has also been included that removes a couple double entries. 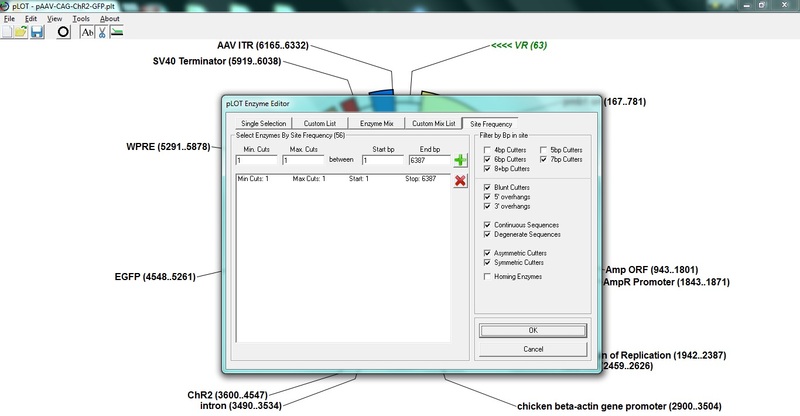 Note that currently, the filtered enzyme selection does not save to the save file. This will be added shortly. Filters do not take into account the blunt/staggered cut, etc... parameters. pLOT update 1.0.9k is now up. The tools menu now has an option to scan the sequence for upper and lower case stretches and annotate the uppercase as exons (naming them starting at "Exon 1" and going to whatever is last). 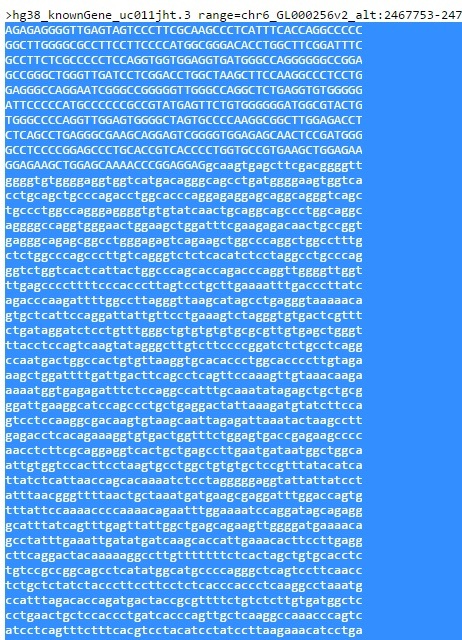 This is useful if you are importing sequences from the UCSC genome browser that have many exons and you don't feel like annotating them individually. 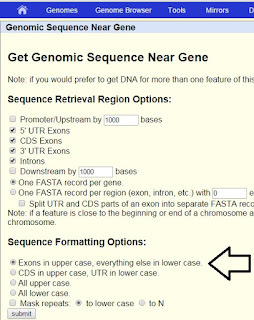 In the UCSC Genome Browser, select the genomic region for your gene of interest and make sure the options for exons in uppercase is selected. Click the submit button to retrieve the sequence. 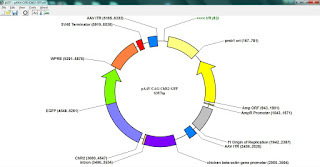 and paste into a new pLOT project and click OK.
Well I'm finally moved in, have internet restored and getting along at the new job so here is an updated patch that fixes a problem with the names of restriction enzymes on the virtual gels Sometimes the names came up as all "AarI". That should be fixed now. Other fixes and additions will be coming shortly although I'm pretty busy so they will be a bit slower than before. 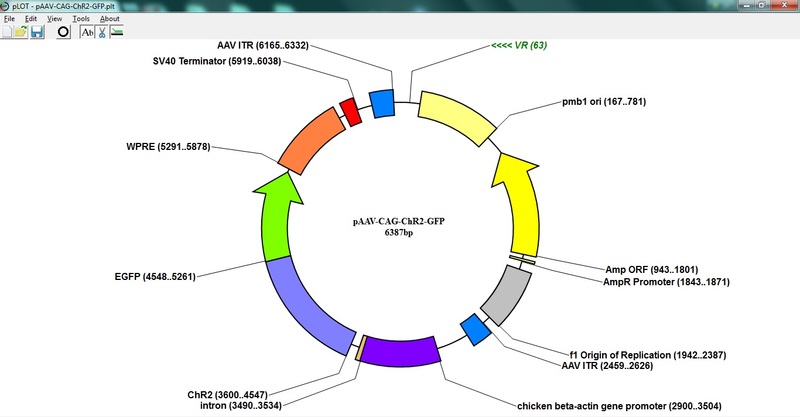 Coming up in the next full release will be the ability to open Ab1 sequencing files as well as some fixes. 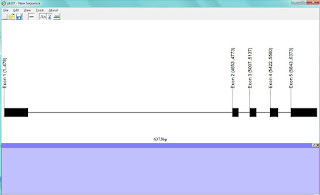 Among oher file formats I plan to allow to import from in future releases will be *.SCF chromatogram files, SnapGene *.DNA.